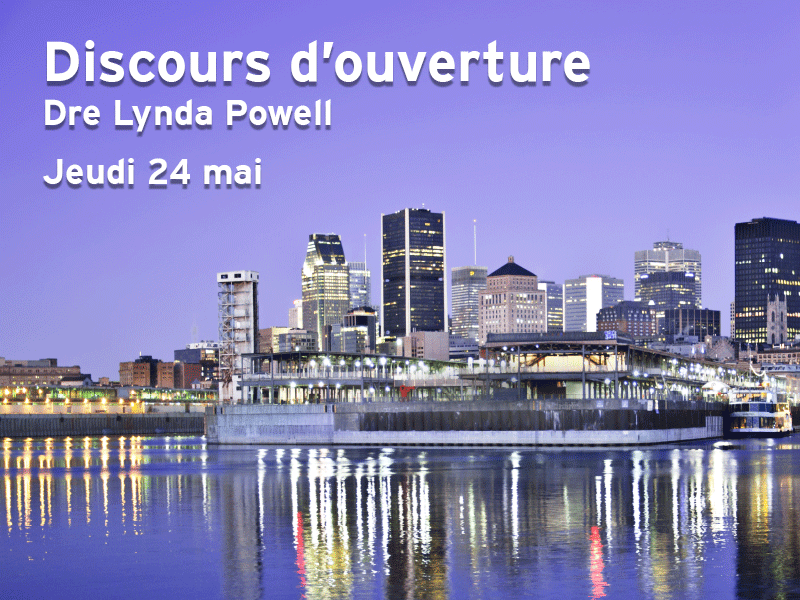 Le Congrès 2018 de l’IBTN débutera le jeudi 24 mai avec une soirée cocktail lors de laquelle Dre Lynda Powell (Rush University) présentera un discours d’ouverture : Population Trends in Chronic Disease as Opportunities for Behavioural Medicine: A Time for Change. Sharing the insights that she and co-authors Drs. K. Freedland and P. Kaufmann have developed in their upcoming book, “The Science of Behavioral Clinical Trials for Chronic Diseases” (Springer 2018), Dr. Powell’s talk aims to inspire and spark dialogue among the networks of researchers in attendance. Her talk will focus on the “window of opportunity” presenting itself to the field of behavioural science. In the wake of a healthcare crisis driven by demographics, the integration of preventive behavioural interventions into clinical care is paramount. Improving immediate care to patients, helping extend health across populations, and reducing per capita costs, behavioural interventions constitute what Powell calls a “triple threat.” The challenge now is not to increase the number of behavioural trials but to increase their quality. Dr. Powell’s upcoming book, much like her talk, aims to serve as a guide for junior faculty, clinical researchers, and behavioural trialists alike. Don’t miss this opening talk and take part in the full scientific program of the 2018 IBTN Conference! Dr. Powell’s book will be featured as part of the curriculum of the Inaugural IBTN Summer School held in Montréal from May 21 to 26, in conjunction with the 2018 IBTN Conference from May 24 to 26.